What are the best all-in-one 3D printers? Just as old, chunky portable phones from the 80’s have evolved into powerful and multifunctional smartphones, 3D printers are gaining in capacity and can now do much more that just 3D print. 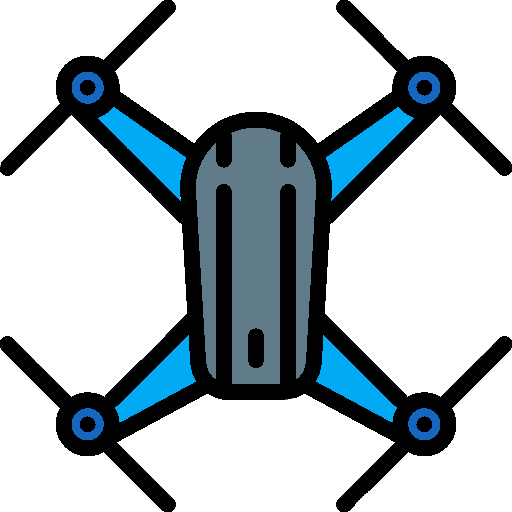 Like a modern Swiss Army knife, all-in-one (AIO) 3D printers feature 3D scanning, laser engraving, laser cutting, vinyl cutting, drawing and more. Today, AIO 3D printers can be multi-purpose fabrication tools for makers, professionals, businesses and hobbyists alike. However, since AIO 3D printers are still relatively recent, only a few of them are available for consumers. 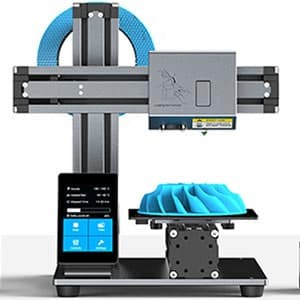 That is why we decided to take a closer look at the multifunctional 3D printer market and list the best all-in-one 3D printers currently available. We only included AIO 3D printers that cost less than $7,000 and are more accessible to the public, as there are many industrial all-in-one 3D printers that can cost several hundred thousands of dollars. These 3D printers are sorted according to the number of functionalities that they feature. *Price (MSRP): manufacturer suggested retail price. Computer numerical control (CNC) milling is the removal of material through a specific process that uses rotary cutters, performed by computer-controlled machines that are also known as machining centers or stations. CNC milling, a process similar to drilling and/or cutting, is considered subtractive manufacturing (which is the opposite of the 3D printing additive manufacturing method). Laser cutting, a technology usually used in industrial manufacturing applications, is the process of using a laser to cut materials. Laser cutting technology is quite simple; a computer-controlled machine directs either the laser beam or the material that needs to be cut. Laser cutting, as a feature in AIO 3D printers, is usually capable of cutting different kinds of plastics as well as soft metals. Laser engraving is the process of using laser technology to engrave an object. 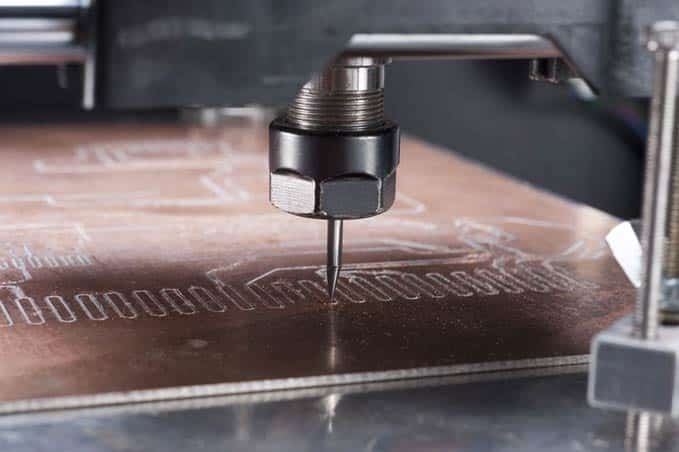 When it comes to all in one 3D printers, the materials that can be laser engraved are usually plastics, wood and soft metals such as aluminum. Paste extrusion is the process of simply pushing any paste-type filament such as PVC foil, EVA foam, machining wax and even chocolate through a specialized tube and nozzle. Drawing: a writing instrument such as a pen or marker can be attached to a 3D printer’s toolhead in order to create automated (or CNC) drawings. Hot-wire cutting: the 3D printer is equipped with a wire made of stainless steel, ideal for cutting foam and similar materials. Vinyl cutting: a technique where a drag knife, also known as a “craft cutter”, is used to cut out shapes or letters from thin, adhesive plastic (ie. for stickers) through adjustable-depth cutting. 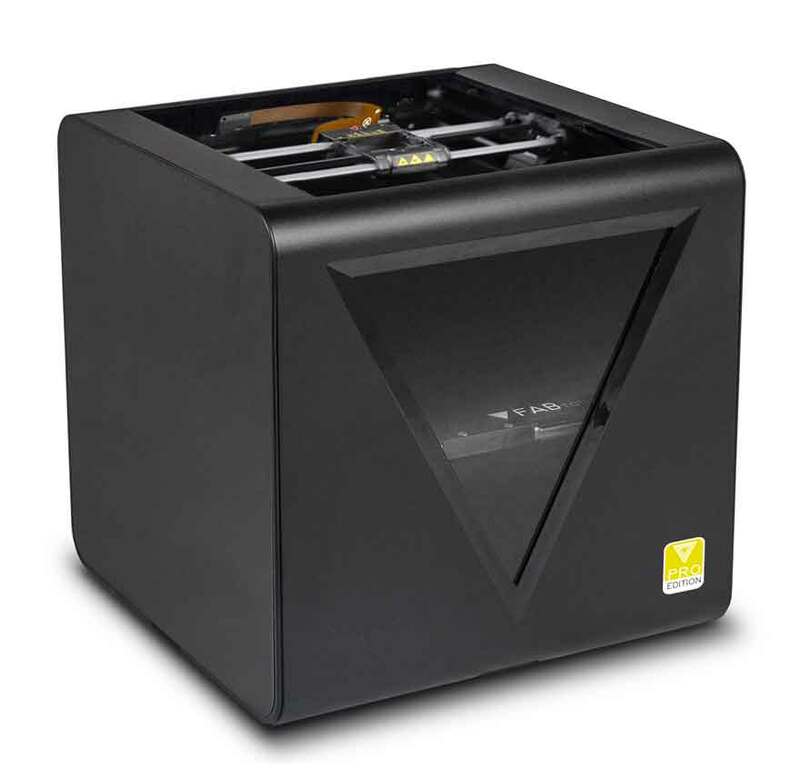 The 2.0 SX is a powerful all-in-one desktop 3D printer made by ZMorph, a manufacturer based in Poland. Thanks to its interchangeable tool heads, the ZMorph 2.0 SX is capable of rapidly switching between its main functionalities: CNC milling, laser engraving and paste extrusion. The multitool ZMorph 2.0 SX also features a dual extruder and a heated bed. The ZMorph VX is the most recent version of this 3D printer. The Core is a multifunction 3D printer made by FABtotum, a manufacturer based in Italy. The FABtotum Core is capable of CNC milling, laser cutting cardboard and paper and laser engraving various metals, woods and plastics. As far as 3D printing is concerned, this multipurpose fabrication device features an optional double-faced heated bed with a maximum temperature of 100°C, ideal for 3D printing using ABS. The all-in-one FABtotum series also includes the FABtotum Core PRO. The Stepcraft-2/600 is a professional AIO 3D printer made by the German manufacturer Stepcraft. In addition to its many functionalities, the Stepcraft-2/600 can be equipped with a hot wire cutter, a drag knife (that cuts almost anything a Stanley type knife cuts) and a mini engraving point for faster but less detailed engraving than with the laser. The Stepcraft-2 was introduced as a Kickstarter project in 2015 and managed to gather over $500,000 by 211 backers. 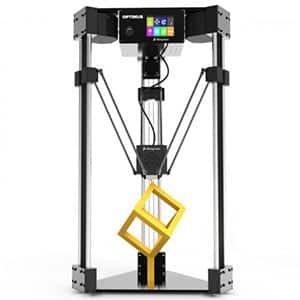 The Optimus 3-in-1 is an all-in-one delta 3D printer made by the Swedish manufacturer Febtop Tech. The Febtop Tech Optimus 3-in-1 was an Indiegogo project that managed to gather over $360,000, well over its $50,000 goal. Although Febtop Tech advertises the Optimus as a 3-in-1 3D printer (they consider laser cutting and engraving as one functionality), we decided to include it in our 4-in-1 category since we consider laser cutting and laser engraving as two different functionalities. The Optimus features a working milling platform of 400 x 400 x 80 mm. 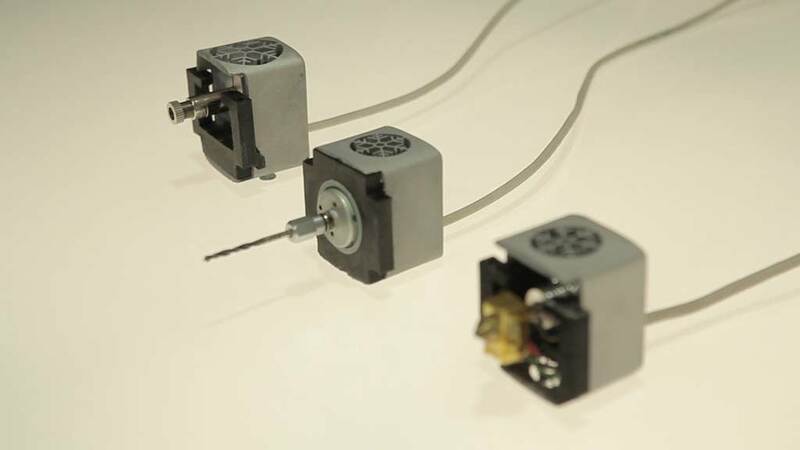 A laser engraver tool-head that can be installed in 3D printers. 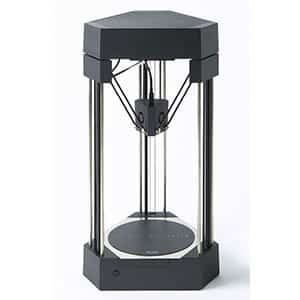 The Delta+ is an all-in-one delta 3D printer made by FLUX, a manufacturer based in Taiwan. Besides its laser engraving functionalities, the Delta+ features an experimental 3D scanner for 3D capturing small objects. The FLUX Delta+ is also capable of vinyl cutting as well as drawing. The 3D scanner functionality is still in an experimental phase. FLUX is striving to implement a specially designed MeshLab algorithm to enhance its conversion performance. The Da Vinci 1.0 Pro 3-in-1 is an updated version of the Da Vinci 1.0 AIO made by XYZPrinting, a manufacturer based in Taiwan. This multifunctional machine’s 3D scanning is performed by two lasers, and the process usually takes less than 5 minutes depending on the object’s size. 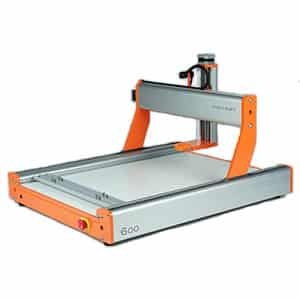 The laser engraver’s work area is approximately 200 x 200 x 200 mm, and can be used on several different materials including plastics, paper and wood. The Super Helper SH155L is an all-in-one desktop 3D printer made by Winbo, a manufacturer based in China. 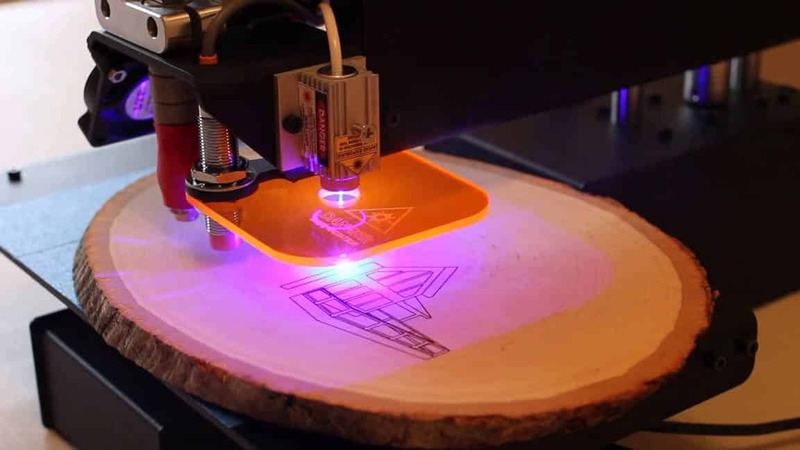 This 3D printer features laser engraving and laser cutting capabilities. The Super Helper SH155L, along with a dozen 1 kg spools of filament and 6 boards for laser cutting and engraving, is available at the price of $439. The standalone price of the Super Helper SH155L is $299. 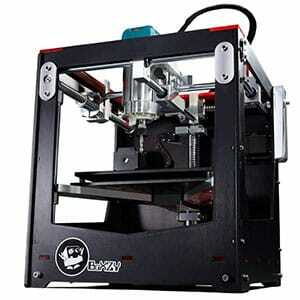 The BoXZY Complete is an AIO desktop 3D printer made by the US manufacturer, BoXZY. This 3-in-1 3D printer was first introduced as a Kickstarter project in 2015 and managed to collect over $1,000,000 from 630 backers. It’s safe to say that this project was funded successfully. The BoXZY Complete features a milling area of 203 x 283 x 260 mm and a 3D printing build area of 165 x 165 x 165 mm. The 3-in-1 3D printer also features a power station that the manufacturer calls the “E-Stop Power Station”, which acts as a fail-safe in case the 3D printing process encounters any issues. Example of a 2-in-1 3D printer featuring a CNC milling tool-head. 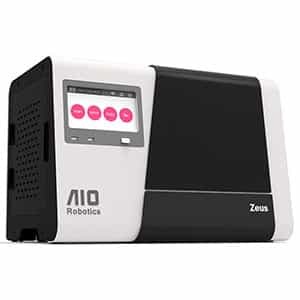 Zeus, a 3D printer and 3D scanner combo made by the US manufacturer AIO Robotics, is one of the most famous AIO 3D printers on the market. 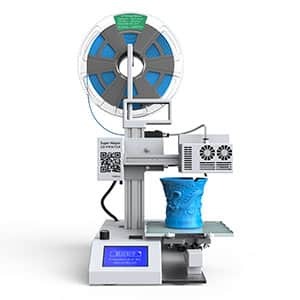 The ZEUS is a 2-in-1 3D printer that features an incorporated 3D scanner that works using a laser scanning technology and an automated calibration process. This multifunctional 3D printer includes a turntable that rotates the object that is being 3D scanned. 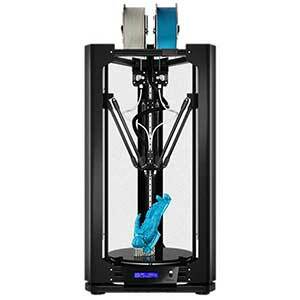 The 5AXISMAKER is a professional AIO 3D printer made by 5AXISWORKS, a manufacturer based in the United Kingdom. This 2-in-1 3D printer is also available in a bigger version with a 3D printing build size of 600 x 600 x 600 mm. 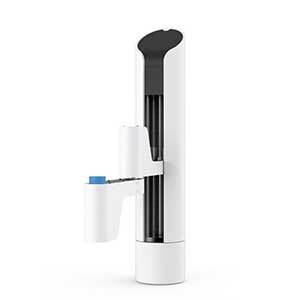 Besides CNC milling, the company is working on providing a 3D scanning touch probe extension. 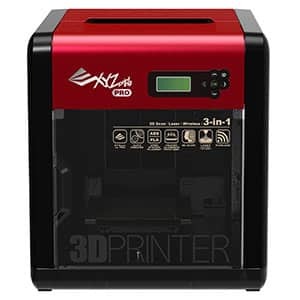 The Atom 2.5 EX 3D Printer Kit is a professional delta 3D printer that features a dual-extruder, ideal for 3D printing with two different colors or for 3D printing support. The laser engraver can engrave several thermoplastics as well as wood and nylon. The Atom 2.5 EX 3D Printer Kit can be considered the more upgraded version of the ATOM Atom 2.5 3D Printer DIY Kit. 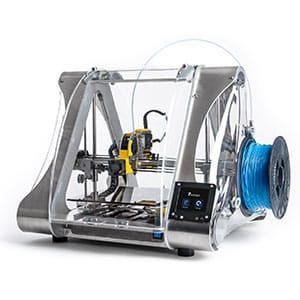 To offer an even more comprehensive view of the AIO 3D printers market, we decided to include a few all-in-one 3D printers that are either currently being crowdfunded or still under development and some large volume industrial 3D printers. The Snapmaker 3D printer in action: 3D printing and CNC milling. These 3D printers are still being developed and are not yet available apart from pre-orders. The MakerArm started as a Kickstarter project and managed to gather over $430,000 from 340 backers in November 2015. The MakerArm features a 3D printing build area of 399 x 798 x 254 mm and is capable of CNC milling, laser engraving and laser cutting. 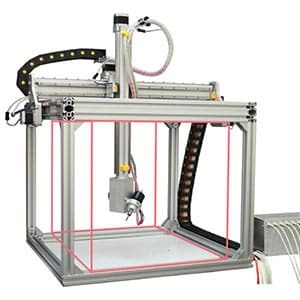 This AIO 3D printer features other functionalities such as a vinyl and foam cutter. The MakerArm’s starting price is $2,400 (pre-order), or up to $4,300 for the fully equipped version. The Snapmaker is an affordable all-in-one 3D printer. This multifunctional 3D printer started as a Kickstarter project and managed to gather the considerable amount of $2,227,182 from 5,050 backers. The Snapmaker features a heated bed capable of reaching up to 80°C, and a CNC milling work area of 90 x 90 x 50 mm. This 3D printer is available for pre-order at the price of $499. This upcoming all-in-one 3D bioprinter has been in the news for quite some time. 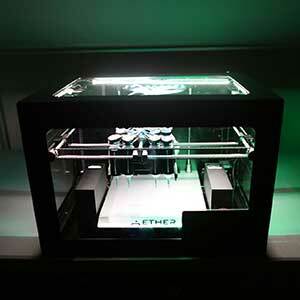 Developed by Aether, a manufacturer based in the US, the Aether 1 is capable of 3D printing 24 different materials and can mix multiple fabrication methods into a single 3D print. The Aether 1 features a microscope to verify 3D bioprint quality, as well as automatic calibration and automatic nozzle cleaning stations. A beta version of the Aether 1 has been given to various universities including the University of Cambridge. Why not take a look at the best 3D scanning apps for iOS and Android? Over 1000 3D printers are listed in our 3D printers comparison engine.